View of deep snow covering logs lying in river in canyon - Stock Footage, Inc. Tags: aerial, american fork, canyon, cold, creek, drone, forest, frost, frozen, ice, landscape, nature, outdoors, park, pine tree, powder, relaxing, river, season, snow, tibble fork, top down view, tree, trees, treetops, utah, water, weather, white, winter wonderland. View of deep snow covering logs lying in river in canyon during winter in Utah. 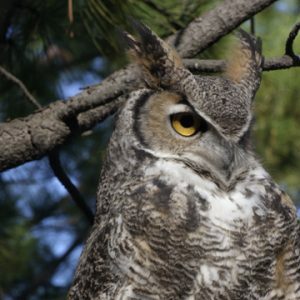 Close shot of great horned owl looking around in a tree. 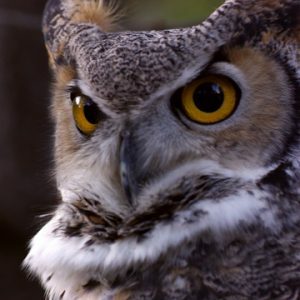 Tight shot of great horned owl’s head swiveling and hooting.